"Professional Widow" Armand van Helden mixes contain uncredited samples of "Trinidad" performed by John Gibbs and the US Steel Band. I love Tori anyway. And I love a bit of house. And when you hear this fabulous tear up the floor house tune, you love it all over again. Five stars all the way -- high end club stuff that still works almost twenty years later. Armand's rework is a dance masterpiece. Who would have thought a 3 second bass guitar loop, would reinvent house. It did, because after it came speed-garage with driven warped basslines. Armand was told by his record company to go flat broke out at making this sound so different from, anything else that was around at the time, and anything he'd remixed. This is a classic which many people will remember. "Honey, bring it close to my lips. It's gotta be big." And big it was... This single is a classic case where a remix can be more popular than the original version. 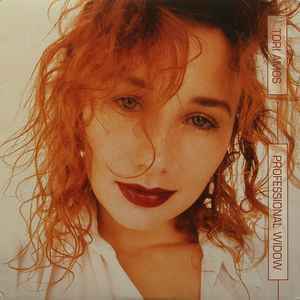 After a succesful collaboration with Brian "BT" Transeau ("Blue Skies"), Tori Amos embraced dance music again with the help of Armand Van Helden, Marc Kinchen and Mr. Roy (whose remixes are not available on this edition). And it worked very well: "Professional Widow" finished the year 1996 as one of the most played club tune around the world. Funny facts (I read this somewhere): Van Helden never met Tori Amos and was only paid a small amount of money for his re-version. Hoewever, the benefits of such a hit for both artists were tremendous (Van Helden began to release a serie of very succesful remixes for CJ Bolland and Nuyorican Soul amongst others. Amos continued her collaboration with dance acts such as Hasbrouck Heights or Andy Gray). MK and Mr. Roy were mostly eclipsed by Van Helden, but individually they also gave a good remix effort. Appearently Tori's producer was a big fan of Armands work and approached him about remixing the track and he was sent the vocals and Armand applyed the famous bassline and worked his magic and the output became the biggest house anthem of 1996. Always a favourite of mine, no matter how overplayed it became.